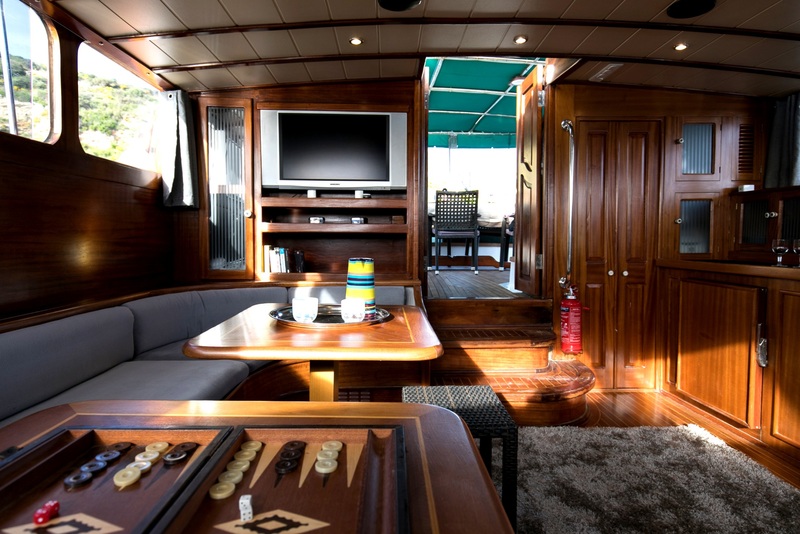 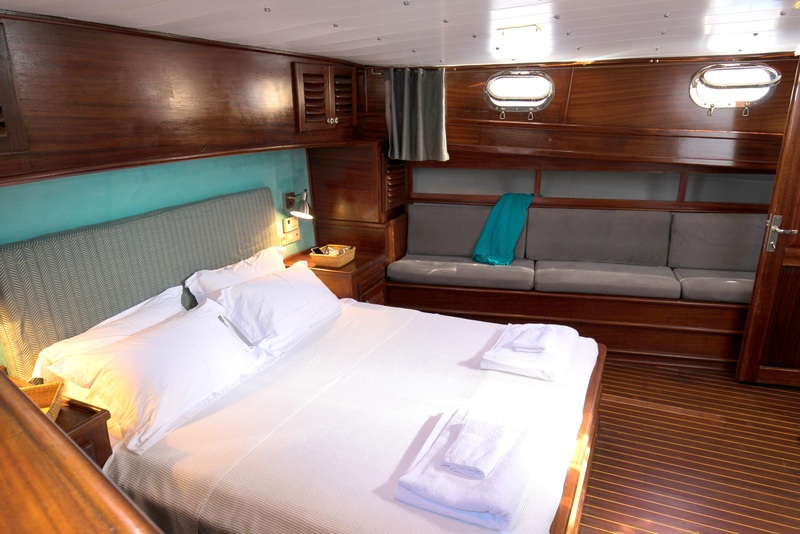 The yachts interior decor is timeless with rich woods throughout and neutral soft furnishings. 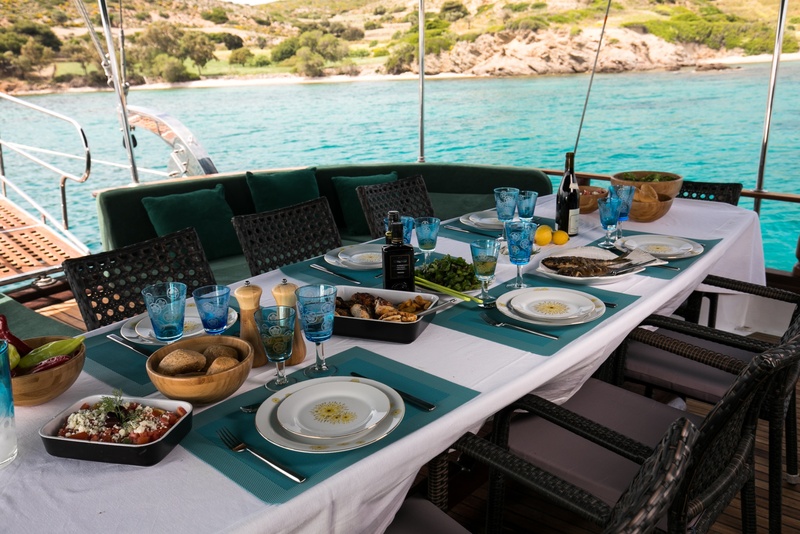 The salon and dining is an open plan with surrounding windows for optimum light. 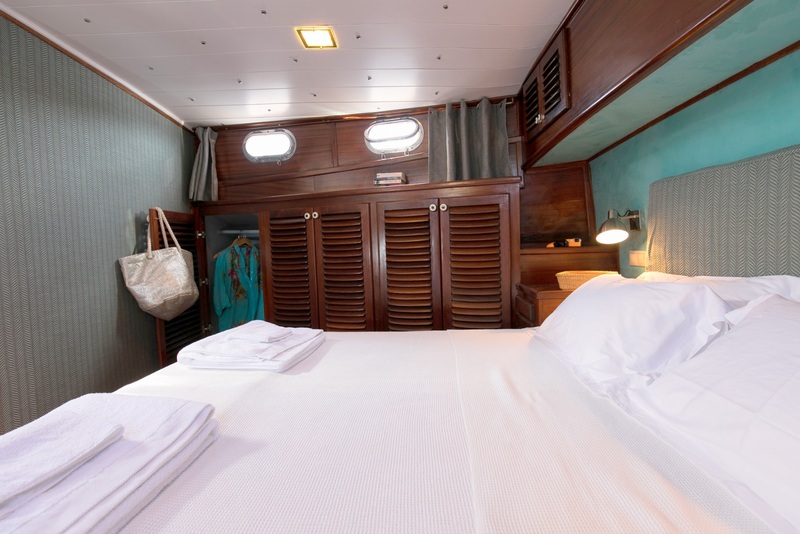 Forward of the salon, are 4 spacious guest cabins, each with private en-suite facilities. 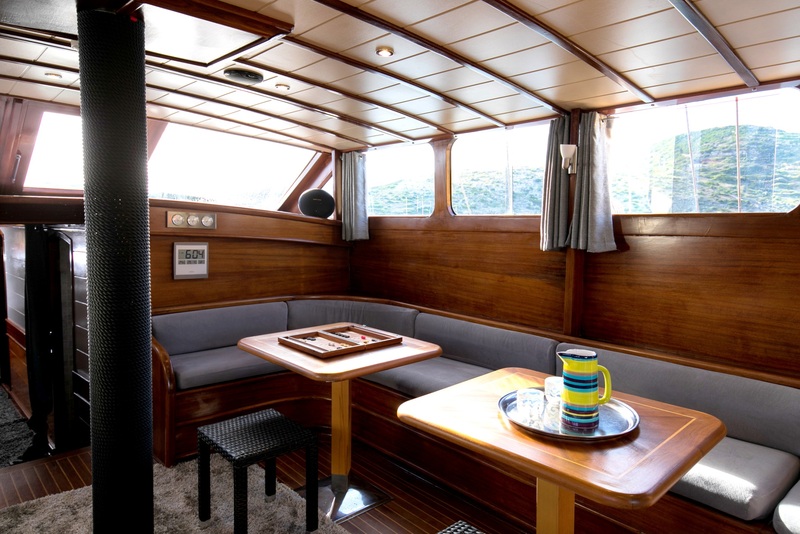 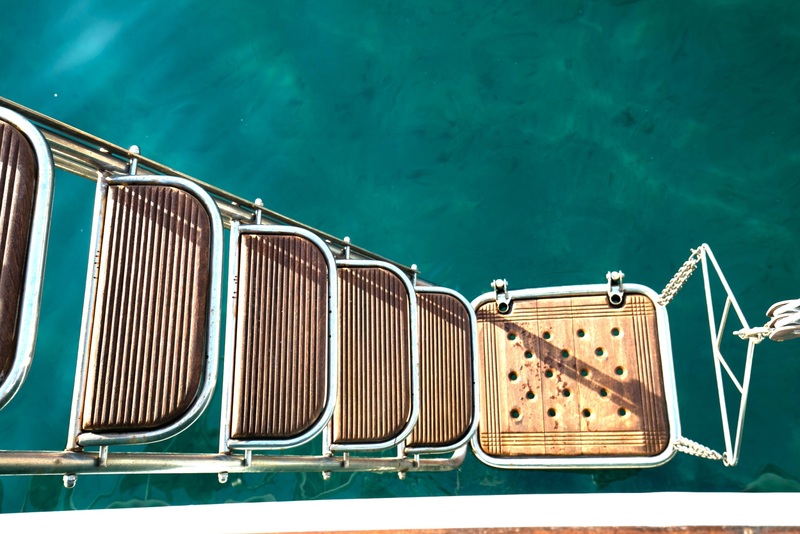 On her generous teak decks there is ample room to relax, sun and entertain. 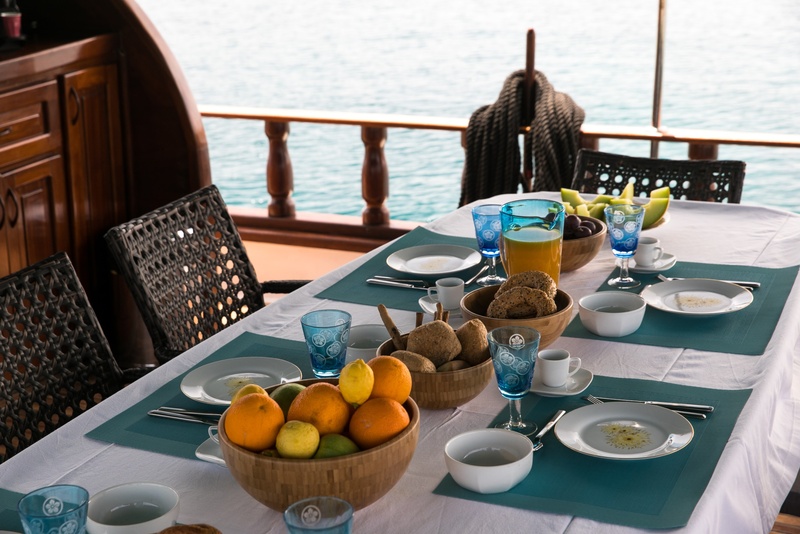 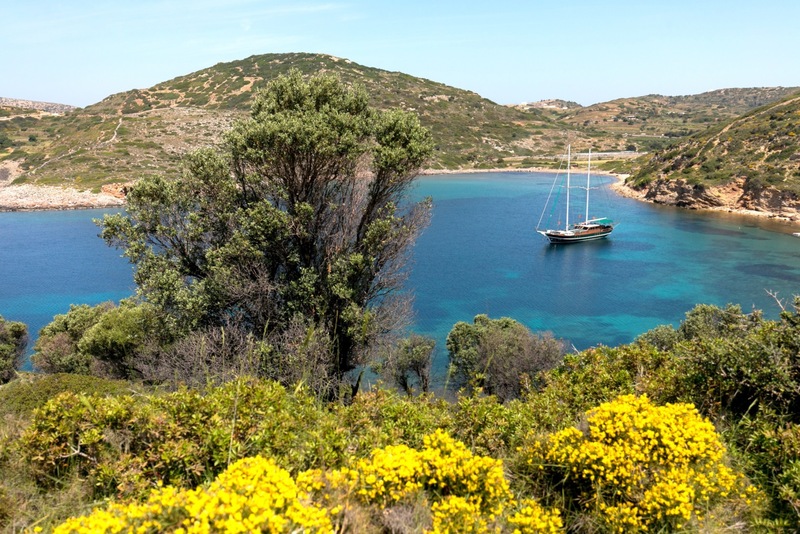 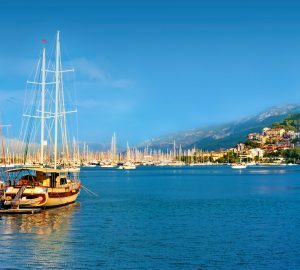 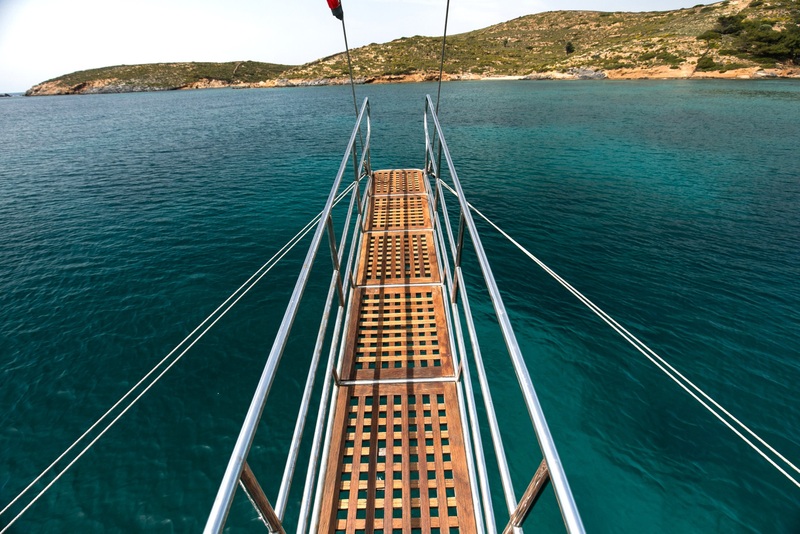 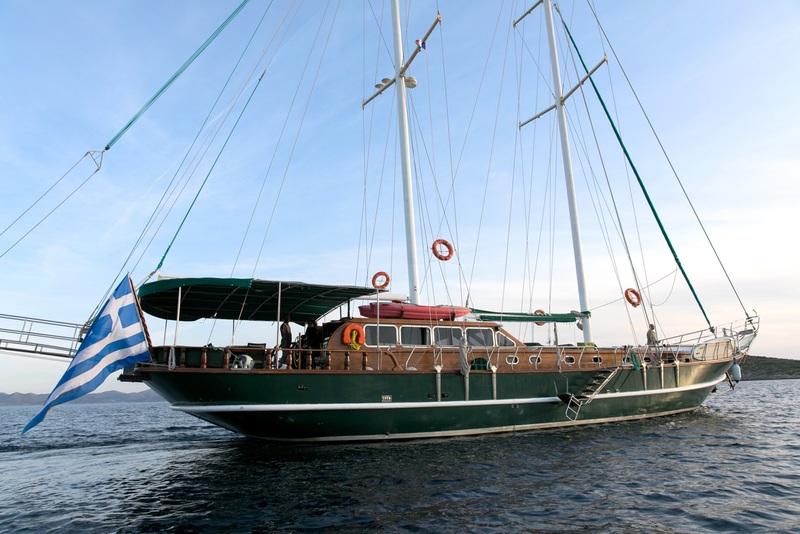 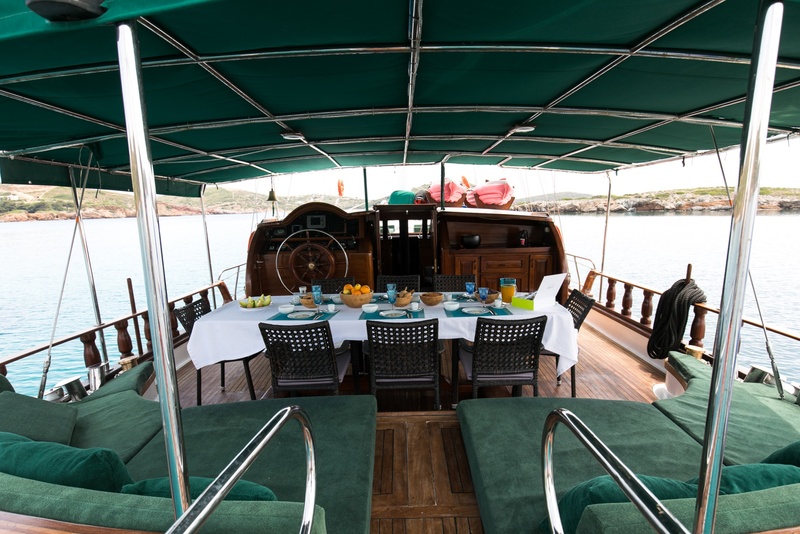 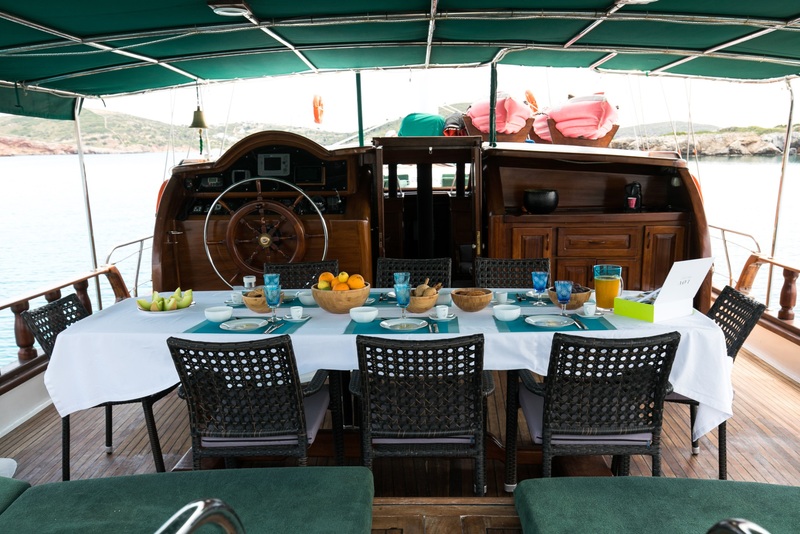 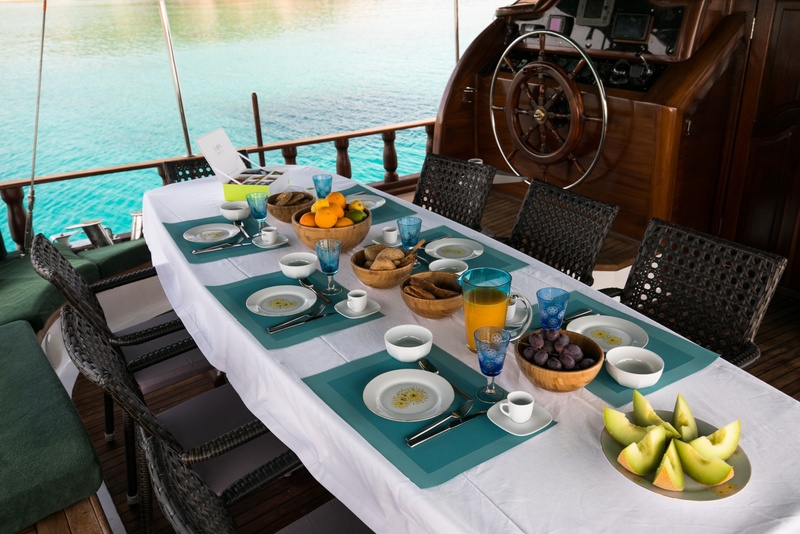 The aft deck is shaded and has an alfresco dining table and full beam aft sunpad, a true trademark of the traditional gulet. 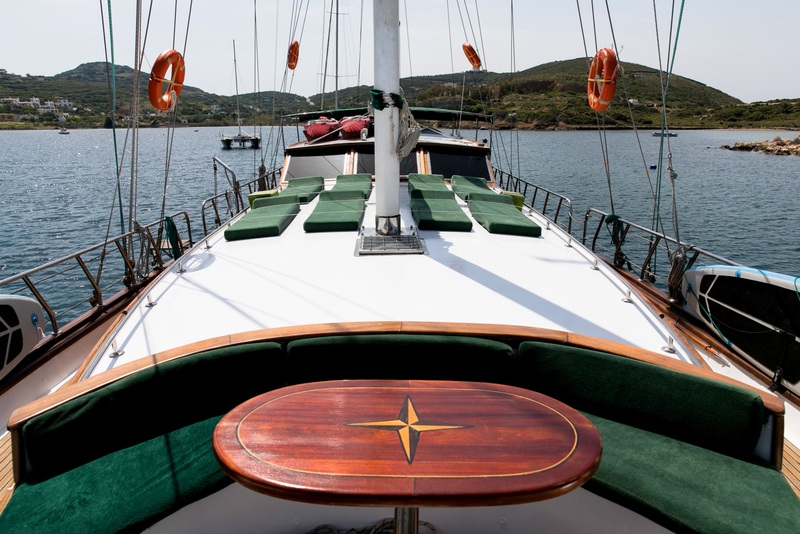 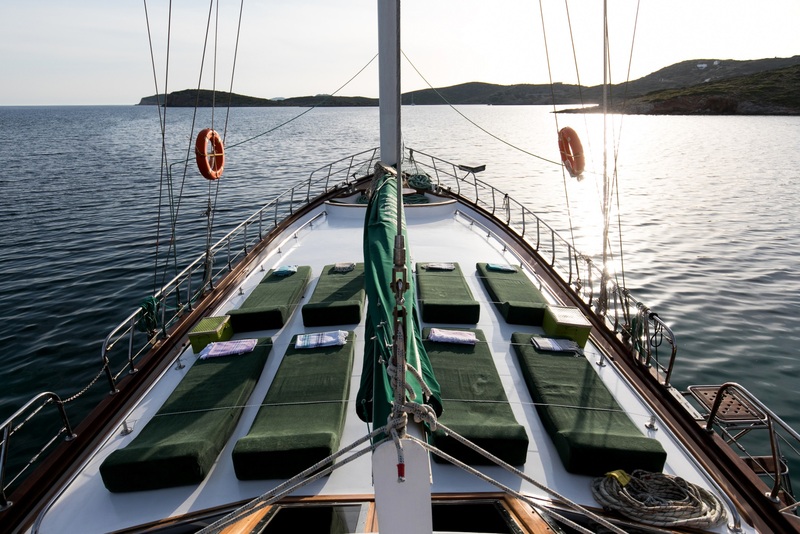 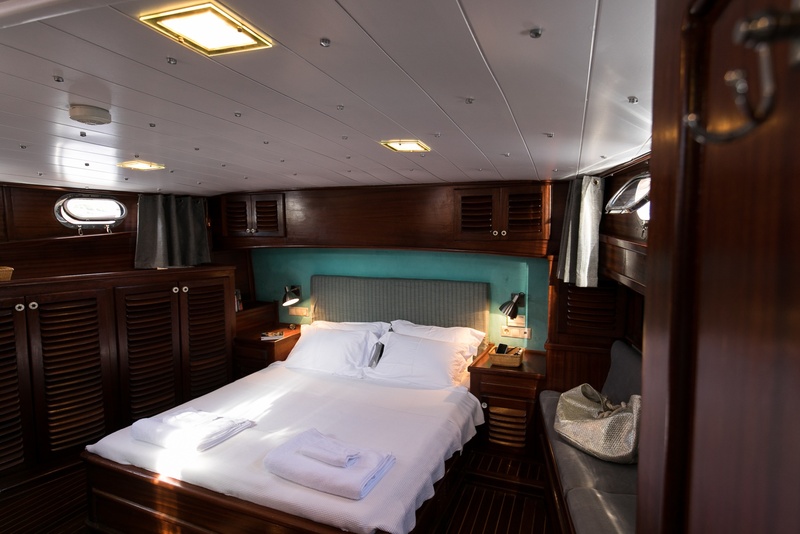 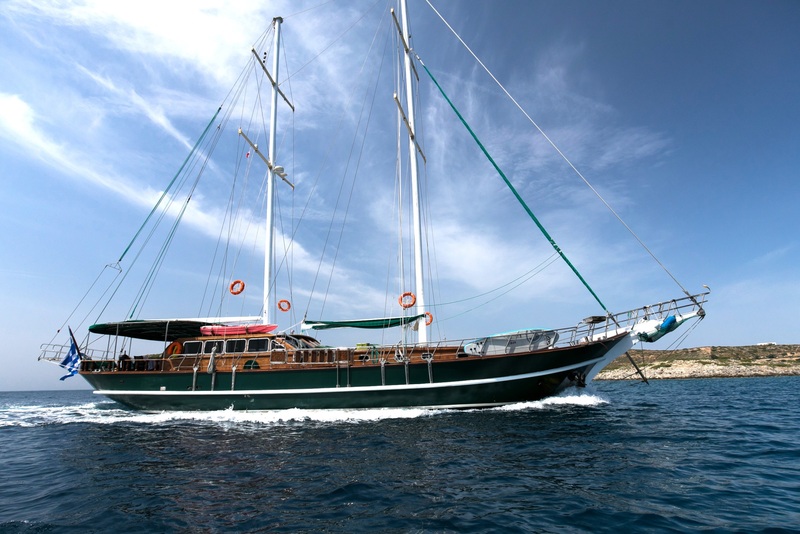 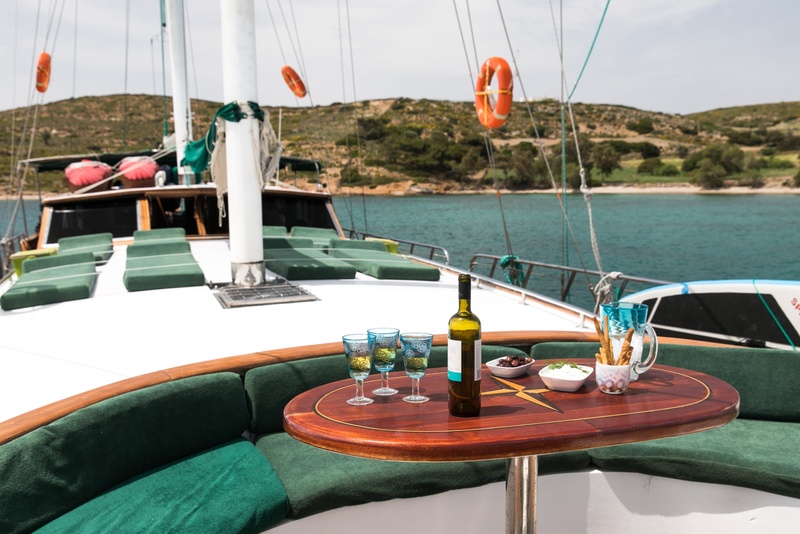 She features a vast foredeck area, complete with sunpads for everyone. 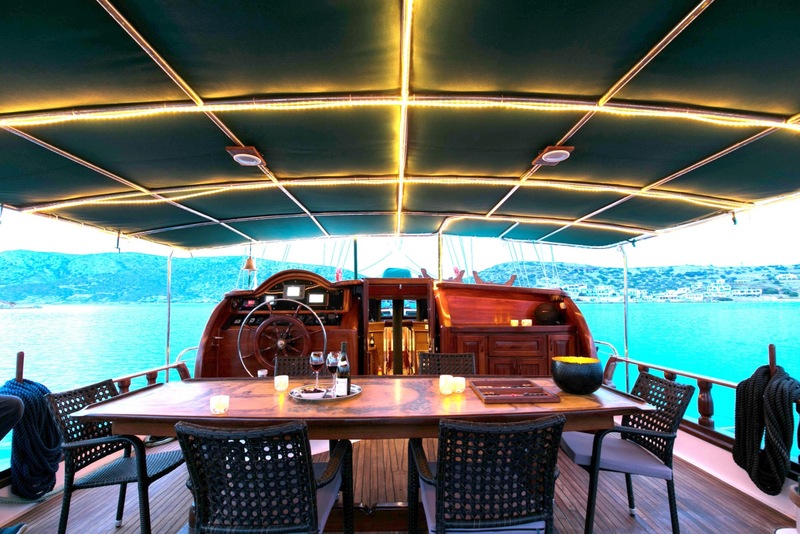 Powered by a MAN 440hp, she has cruising speeds of 9 knots and top speeds of 11 knots. 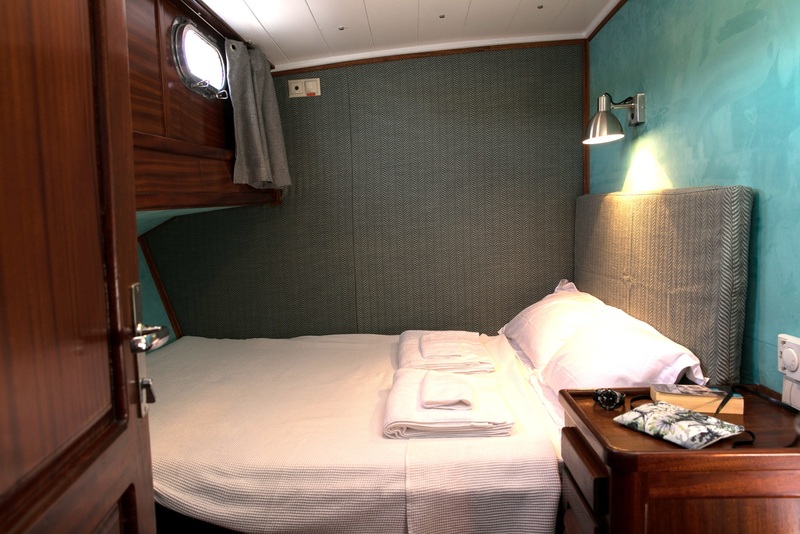 Accommodation is forward of the salon in 1 master cabin full beam of the yacht and furthest forward. 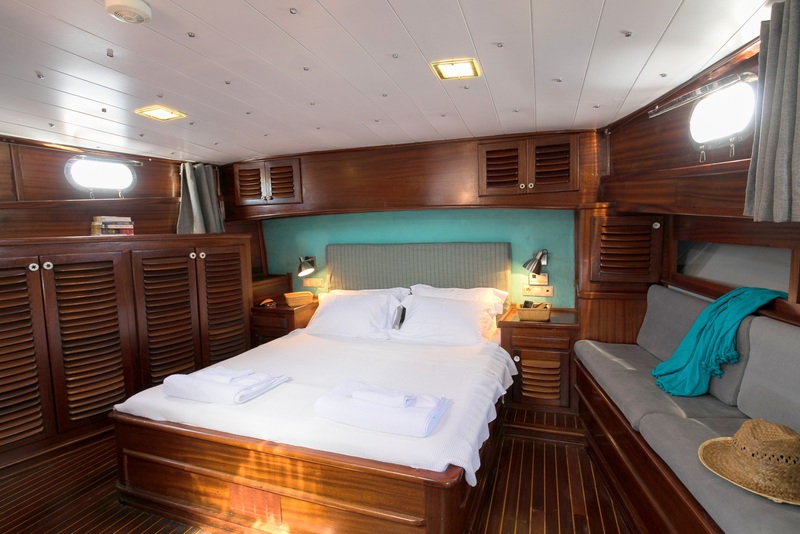 3 cabins each have double beds. 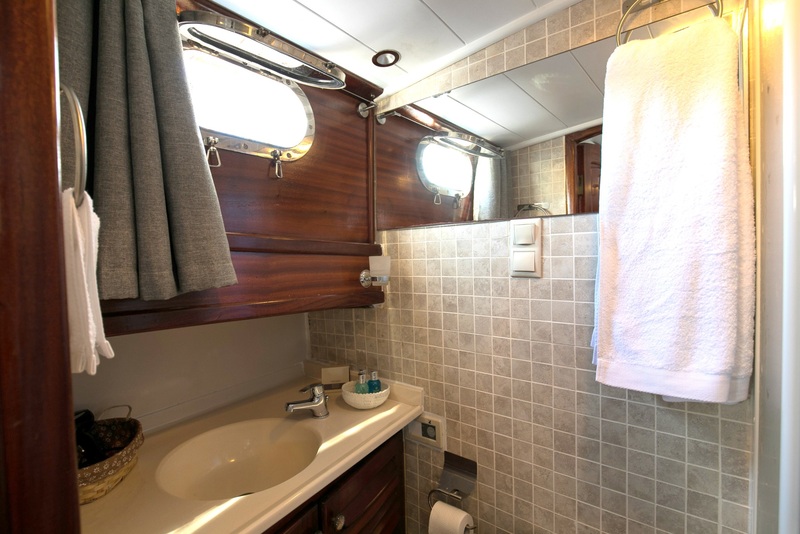 All 4 cabins are en-suite. 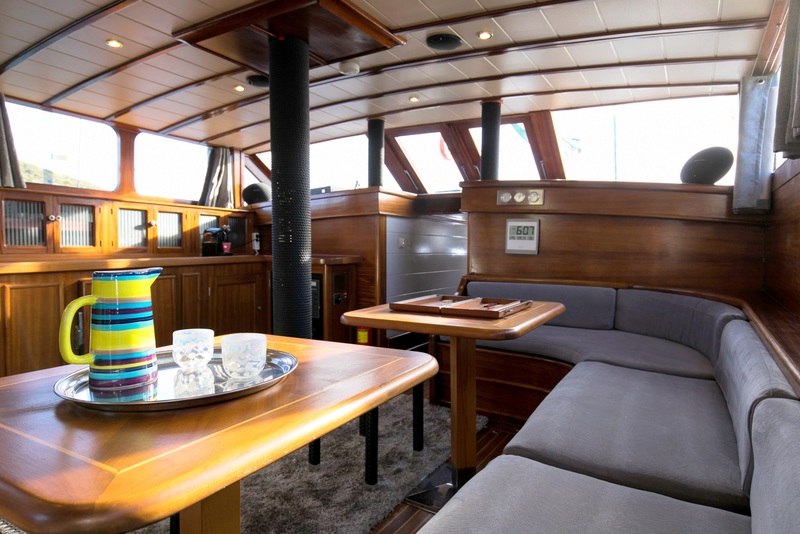 HIFI System in Saloon & Deck, Plasma TV & DVD Player in Saloon, LCD TV & DVD Player in all Cabins. 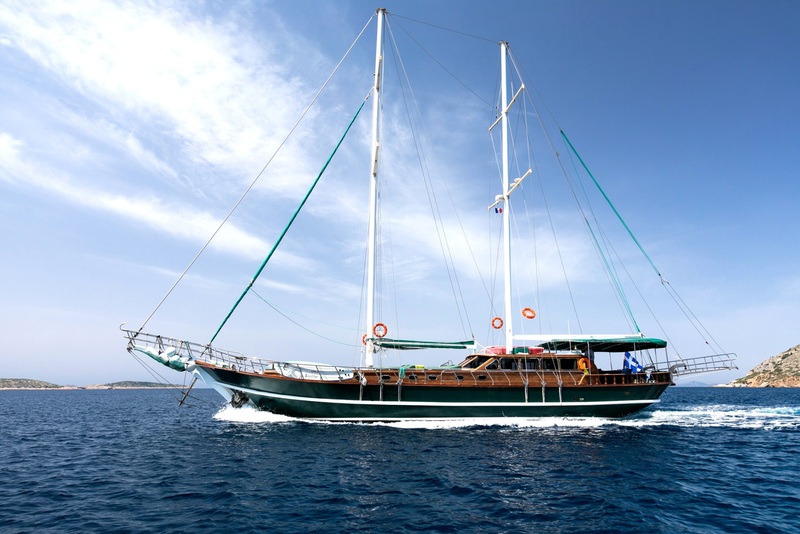 WATERSPORTS : Paddle board, Canoes, Snorkeling Equipments, Fishing Equipments.